Follow the instructions in the Slider below. Or the Step-by-Step tutorial below. 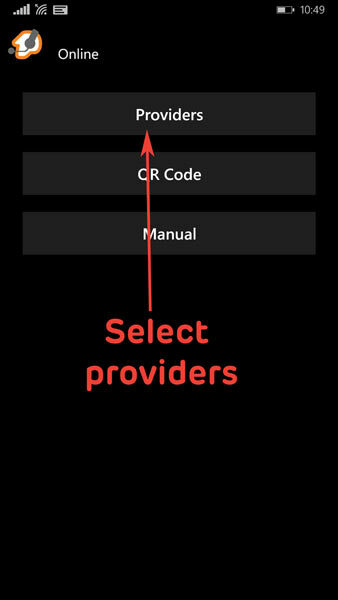 After downloading Zoiper, open the app and go to Settings, the settings icon is the third icon on the bottom of the app screen. 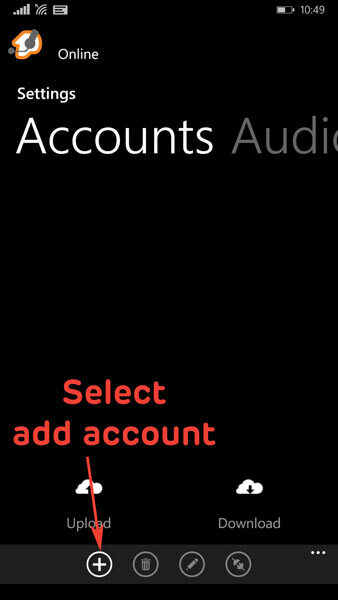 On the Accounts screen select ‘Add account’. 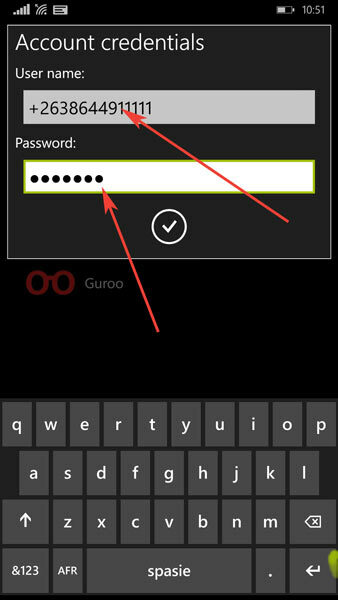 This is the first ‘+’ icon on the bottom of the app screen. 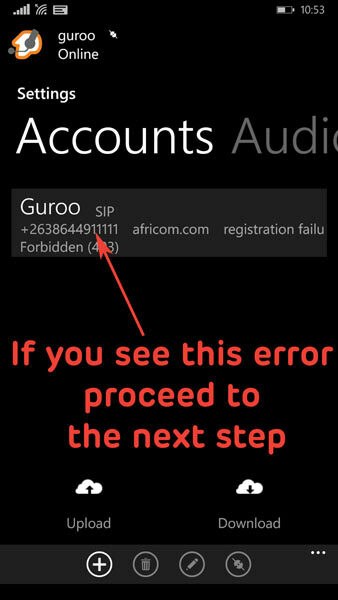 Assuming you have registered and now have your Guroo number, select ‘I already have an account’. 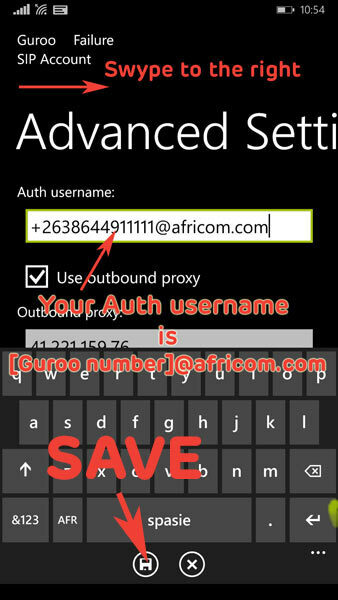 Input your username e.g +2638644911111 and your Password as given in your email. Select the OK icon (it’s like a tick) to save. 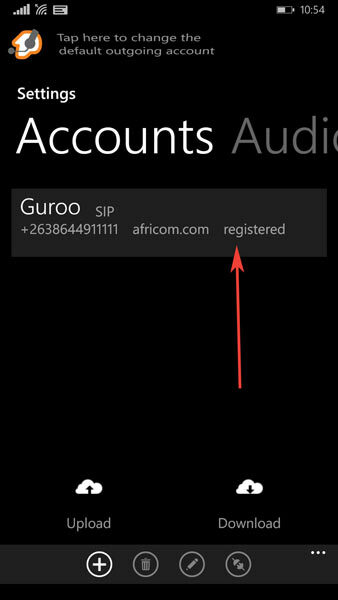 At this point your account should indicate as registered. 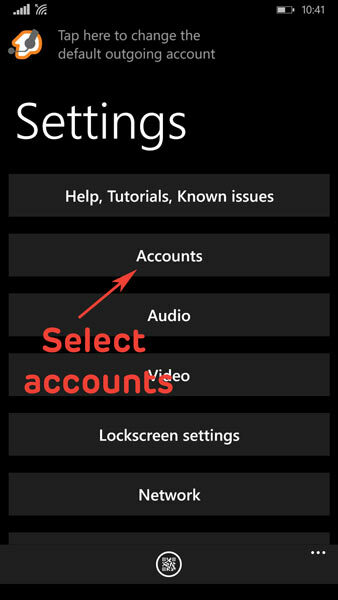 If not, and you are getting a 403 error, select the account to edit its settings. 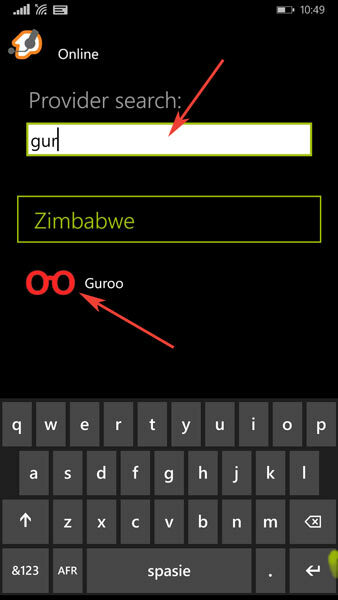 Swype to the right to get to Advanced settings. Save the settings (the save button is the first one on the bottom of your screen). 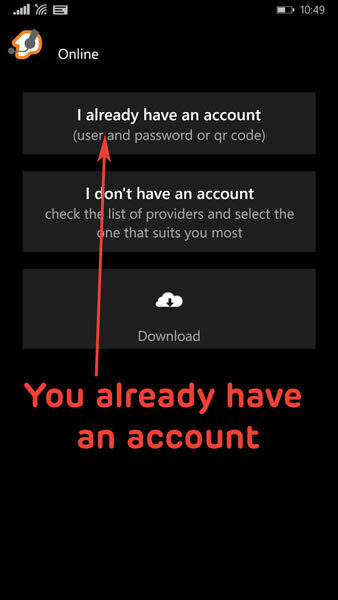 Your account should now show as ‘Registered’ on the accounts screen. 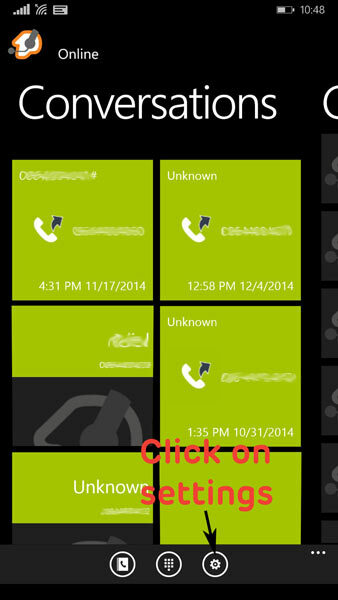 You can add as many Guroo numbers as you can handle and enjoy low calls. Remember to tell your friends too.